In a recent article, Conde Nast named Chicago as the #1 big city to travel to in the U.S.—and we see no surprise there. Thanks to Chicago’s high-end dining and its rich architecture, arts, and culture scene, it’s a great city to both visit and live. And they couldn’t help but mention that Chicagoans are “pleasant” people to be around, known for their kind, welcoming nature. (Take that, New York!) Here’s why Chicago was ranked at the top, once again. Chicago has no shortage of remarkable architecture, and it makes the city especially beautiful and unique. 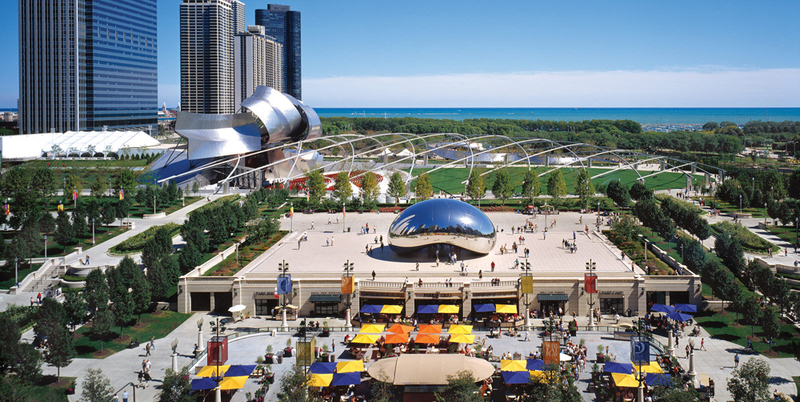 While you can always take an architecture tour to see some can’t miss spots, a few notable architectural destinations include the Pavilion at Lincoln Park Zoo South Pond, Marina City and its two towers, the Tribune Tower, and the Pritzker Pavilion, among others. There are some wonderful buildings and statues to view throughout the city, where different architectural pieces highlight the distinct culture of various neighborhoods, such as the Loop, Lincoln Park, Wicker Park, Streeterville, and more. And if you’re looking for something more modern, you can always attend a pop-up museum, like wndr museum, which provides an interactive and fun experience for people looking for something outside the box. Chicago has both renowned, Michelin-rated restaurants and hidden gems scattered throughout its various and differing neighborhoods. You can eat like a local and try Chicago deep-dish at Giordano’s or hot dogs at Portillo’s, of course, but you’ll also want to book some reservations at new and trendy restaurants in the city. Do a little research on the chefs and their dining concepts, and you’ll know what to expect without even looking at the menu. There are many unique chef profiles and dining experiences you can explore when eating in this magnificent city. There’s also an incredible brewing scene in Chicago, so if you’re one to love to try new and interesting brews or seasonal creations, you’ll need to make a few spots at the local distilleries, brewpubs, and beer-tasting hotspots. A few places to try include Empirical Brewery Taproom, Band of Bohemia, Old Irving Brewing Co., Half Acre Beer Company, Goose Island Beer Co., Revolution Brewing, and more. Be sure to inquire with staff about the beers, what goes into them, and what pairs nicely, food-wise. It’s the time to ask all your brewing related questions and taste various types that’ll make your taste buds very happy.